If you come from San Francisco with the intent to play some classic old school heavy metal, you better have the musical chops from the Bay Area that gave us bands such as Exodus, Testament, and Metal Church. In that tradition arrives American underground metal heroes Hell Fire with their third long player, Mania on RidingEasy Records. 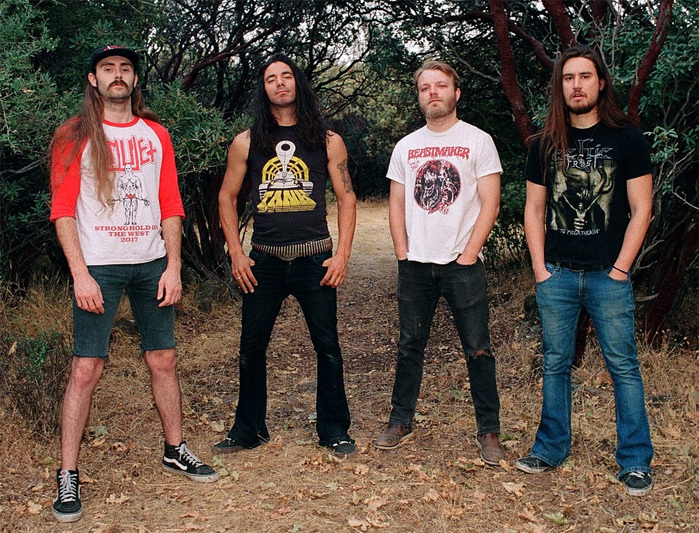 Channeling more than a little NWoBHM, Hell Fire revisits the American side of traditional heavy metal, and then infuses it with parts of speed and thrash metal. They are from San Francisco after all. The band builds their metal through twin guitars with both harmony and fierce riffs, which in turn leads to furious and frantic lead solos. Backing them up is a tough rhythm section for speed, power, and groove, thanks to a thick bass line and thundering drums. Over top is guitarist and vocalist Jake Nunn who has an assertive, raw to screamo, voice. Honestly, his style is an acquired taste. While I enjoyed Hell Fire's classic metal style, I quickly tired of Nunn shrieking in my ears. Nevertheless, for some rushing and thrashing traditional heavy metal Hell Fire definitely has their groove on. With songs such as Masochist, Warpath, and On The Loose, you'll find fiery guitar starts before erupting into metal that sways between steady and speedy with explosions of more guitar solos. 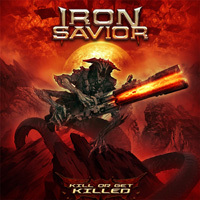 Alternatively, with Isolator and Knights Of The Holy, the bass and drums lead the songs. In the latter song, the bass rides along the cymbals before a guitar lead drops in for a quieter opening. But, as the saying goes, beware of songs that start slow. Knights Of The Holy quickly turns into heavy steady metal. For something not quite completely different, listen for Lashing Out, a song that puts some punk attitude into Hell Fire's speed metal. In the end, while not too keen on the vocals, Hell Fire's Mania delivers classic American heavy metal laced with speed and thrash metal. Recommended. 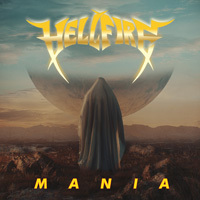 While not too keen on the vocals, Hell Fire's Mania delivers classic American heavy metal laced with speed and thrash metal. Recommended.